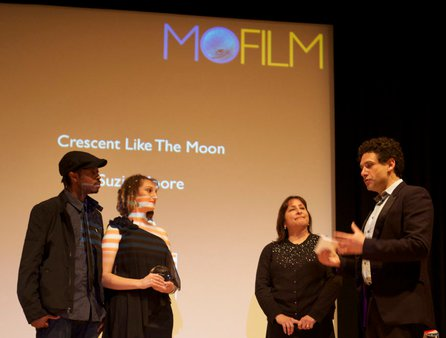 Foundation editor, Suzie Moore and her husband, Charles shot a piece while on vacation in New Orleans this past February which they titled “Crescent Like the Moon”. Suzie had read a brief that the Renaissance Marriott was looking for filmmakers to create a film which would properly convey the very best highlights of a city within close proximity of a Marriott Renaissance property. This could include restaurants, shops, bands, galleries, museums, neighborhood characters , anything that adds to the unique flavor of the local area and wider city. Suzie and Charles rented a camera for four days and documented their travels through the Big Easy, which they had never visited before. Suzie edited the final piece and submitted it to the MOFILM New York 2011 Make an Ad contest. Check out the piece by clicking the photo above! Kudos to you both, Charles and Suzie! It makes me want to break out my mardi gras beads and whip up some mint juleps!